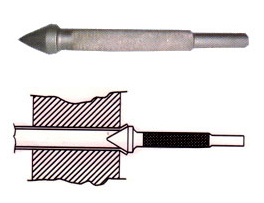 Note : Fitted with Type 1 round shank for use with standard pneumatic chipping hammer. Other shanks on request. 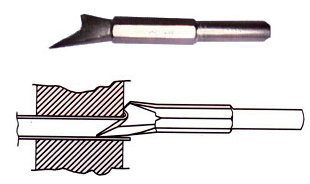 In many condensers the inlet end of tubes are required to be seated into the sheet. The contour is a "Bell End" or "Trumpet Mouth" of special shape.